Here’s a podcast with Australian director Rolf De Heer. 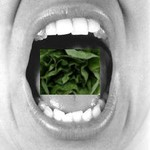 It was originally recorded in August of 2008 and there was even an unedited and intro-free version on the site before. I’ve cleaned it up significantly, trimming 20 minutes and tightening it up to the point where it flows considerably better than it did before. Now since it was one of my very first podcasts, the sound quality is not terrific, as it was recorded using an analog recorder on an incoming overseas call from Australia. However, it’s entirely listenable, if anything, the fact that it is analog makes Rolf sound less robotic and tinny than if I were using a digital recorder on a cell phone. Those unfamiliar with Rolf’s work would benefit from seeing his films, but will not be utterly in the dark, and will be amused by hearing about how Rolf’s directing career started by accident, having to deal with Miramax and Harvey Weinstein during its film butchering heyday, and how your movie can become anachronistic while you’re making it. 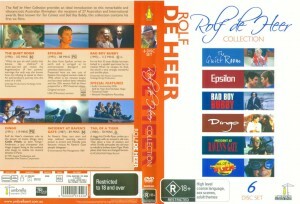 Speaking of anachronistic, some of my comments about the availability of two of Rolf’s films, Incident at Raven’s Gate and his director’s version of Epsilon, have happily become dated, as there were two 6 disc Australian box sets of Rolf’s films released in 2009. Those sets were also the first time that Tale of a Tiger and Dance Me to My Song were ever released on DVD. This entry was posted on Friday, February 4th, 2011 at 12:50 am	and is filed under Documentary, Drama, Sci-Fi, Thriller, Western. You can follow any responses to this entry through the RSS 2.0 feed. You can leave a response, or trackback from your own site.